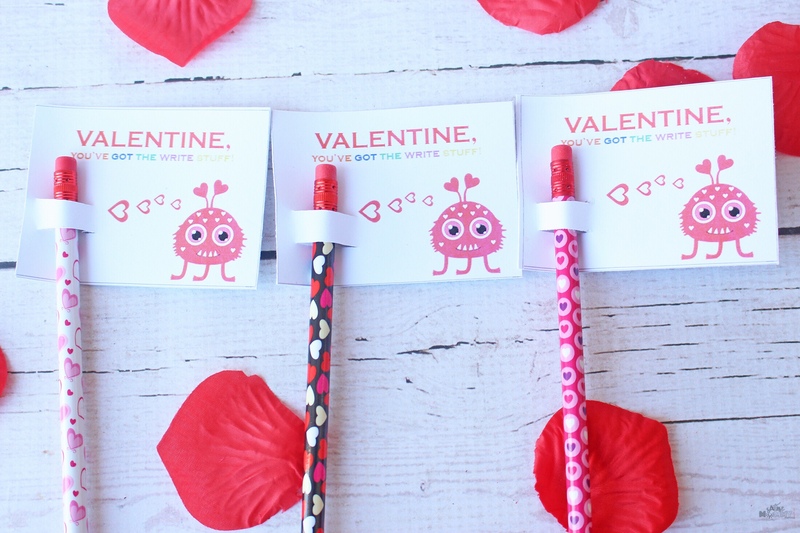 You are here: Home / DIY / DIY Valentine’s: Pencils Instead of Candy + FREE Printable! WHAT? Valentine’s already? 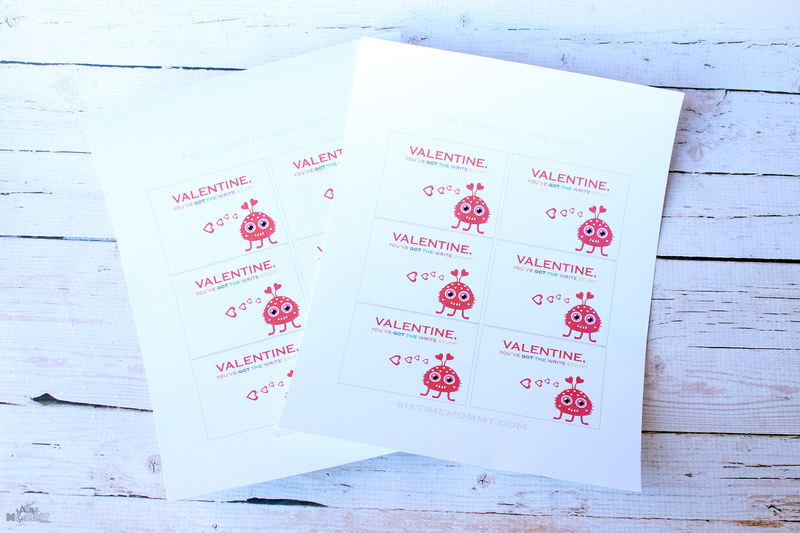 It’s crazy that I am already talking about Valentine’s Day! 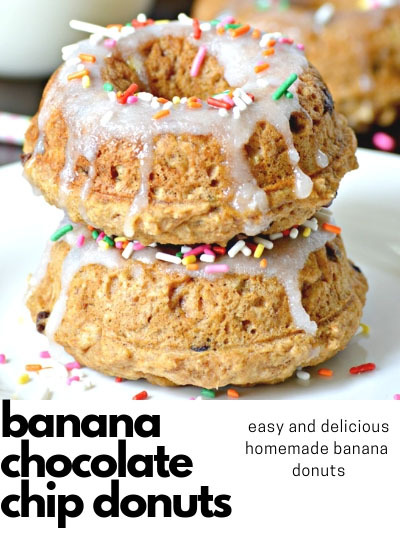 But, it’s never too early to plan and get a head start especially if your little ones have 25+ kids in their class! This year I wanted to do one Valentine with candy and one without. 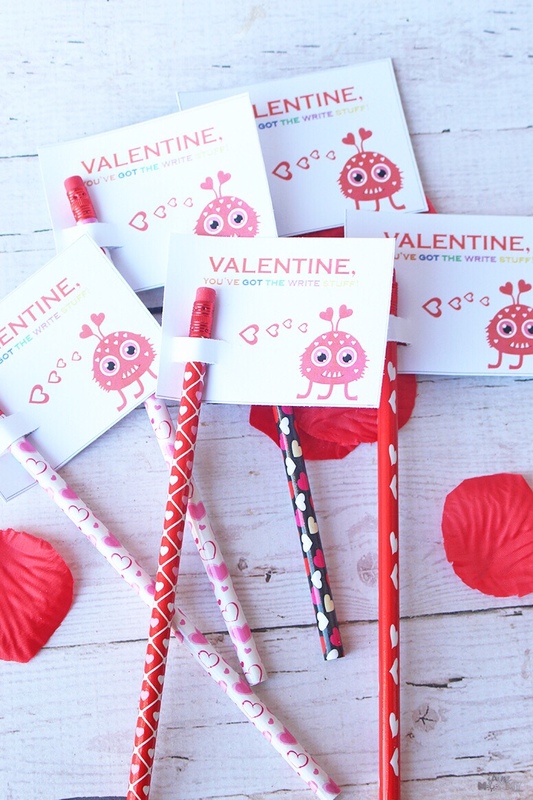 Keep your eyes peeled next week for my candy valentine if you are looking for an adorable fun Valentine that involves candy! 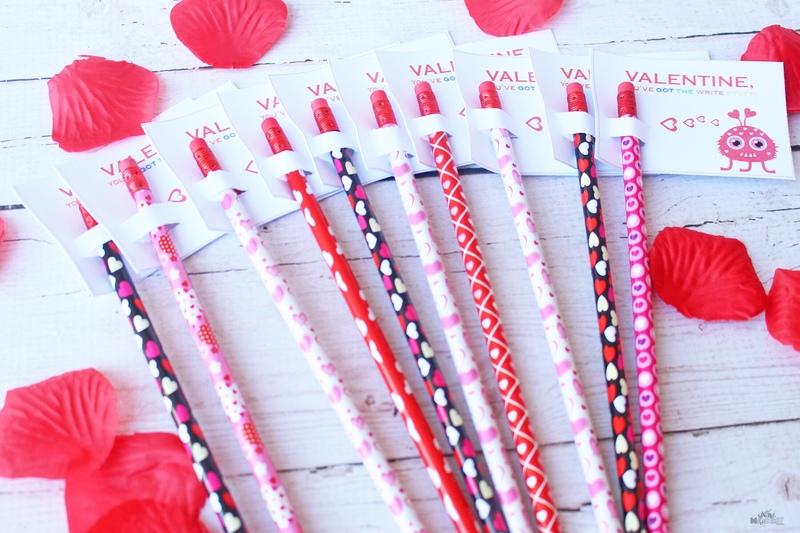 This week though, we’re all about pencils! 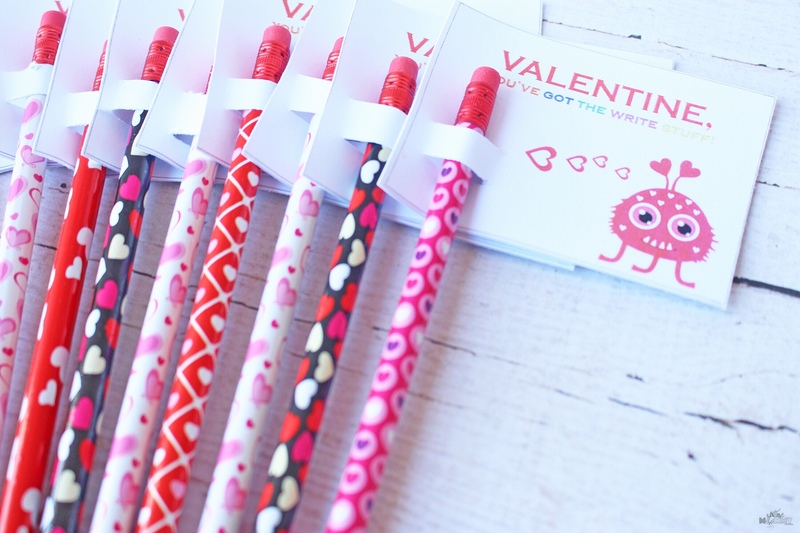 Candy is fun but pencils are useful, and I always find my kids get excited over pencils! They love writing stories, colouring and being creative and they last much longer than candy anyway, right? 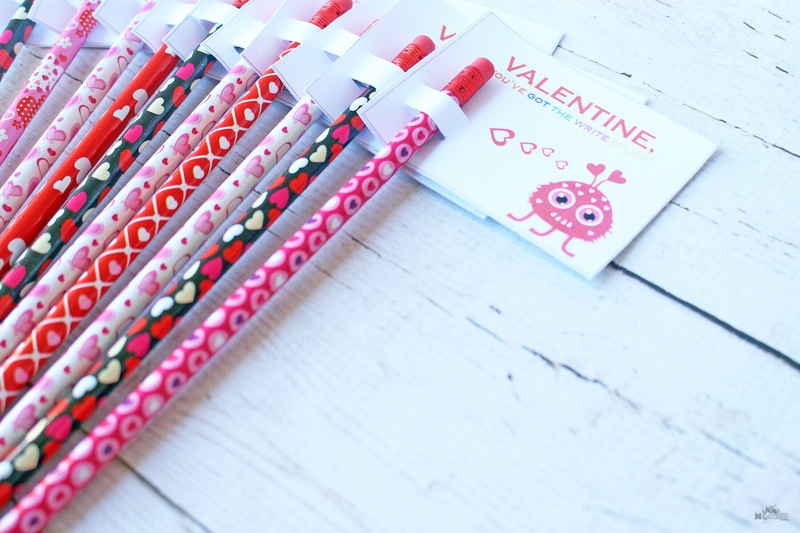 These adorable pencils came from the dollar store. $1.50 for a pack of 10. The printable you can find here. The rest is easy peasy. Print out the cards cut them out and make two small slits (we used an Exacto knife) and the pencil slides right in! 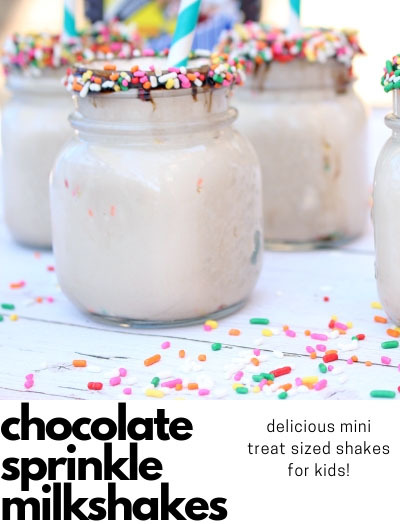 Easy, cute and fun for the kids. 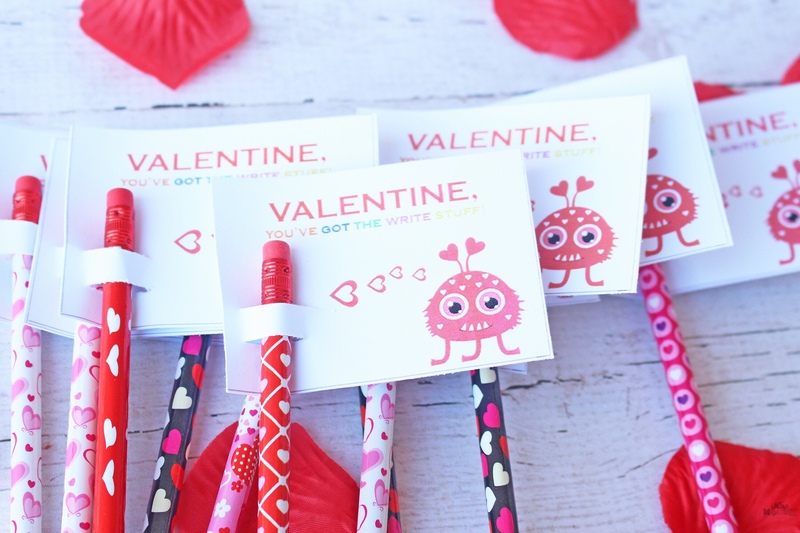 I had such fun making them, and my two younger boys (4 and 6) are excited to take them to their friends this Valentine’s Day!